Passalacqua Espresso Cremador ground coffee has a sophisticated, elegant, nice and harmonious taste. The mixture of 70% Arabica and 30% Robusta gives a good balance between volume, body and flavor. 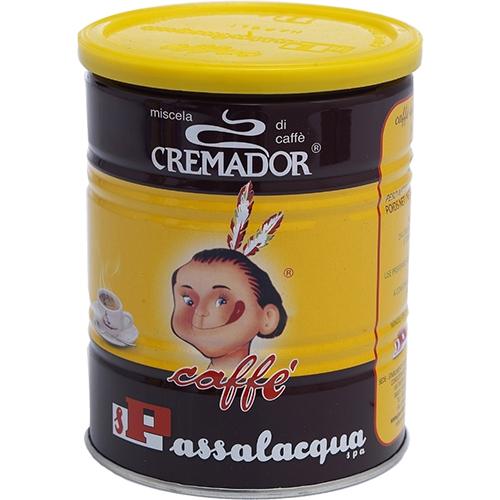 Passalacqua Espresso Cremador has a nice malty tone and creates a beautiful hazelcolored and dense crema. Perfect for cappuccino, macchiato or latte. Passalacqua Espresso Cremador is typical of southern Italy and their more dark roasted coffee.